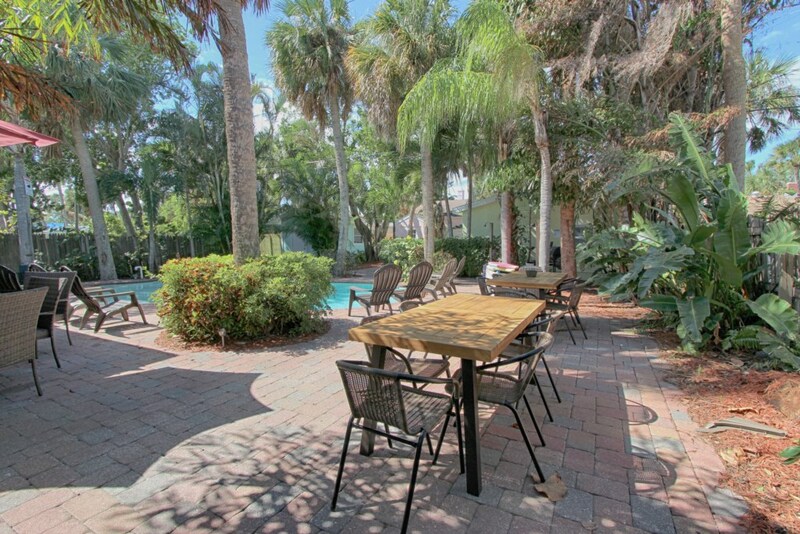 Lantana Cabana is a part of the Clearwater Beach Cabana. 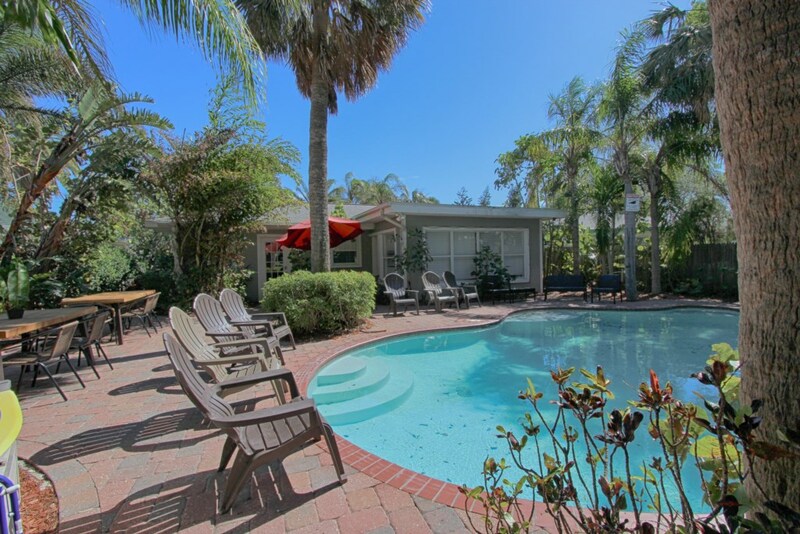 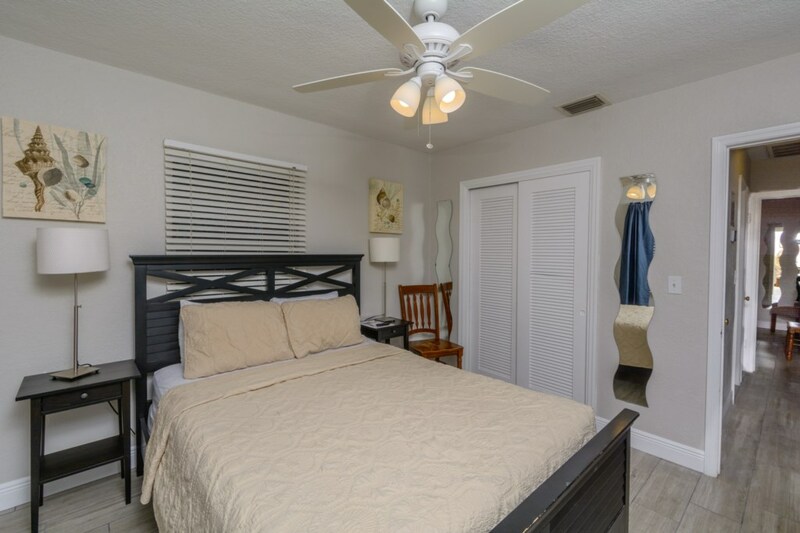 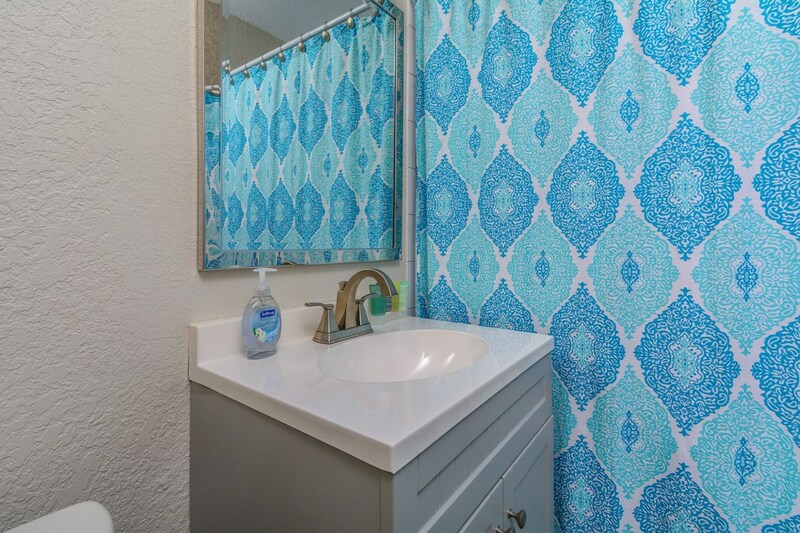 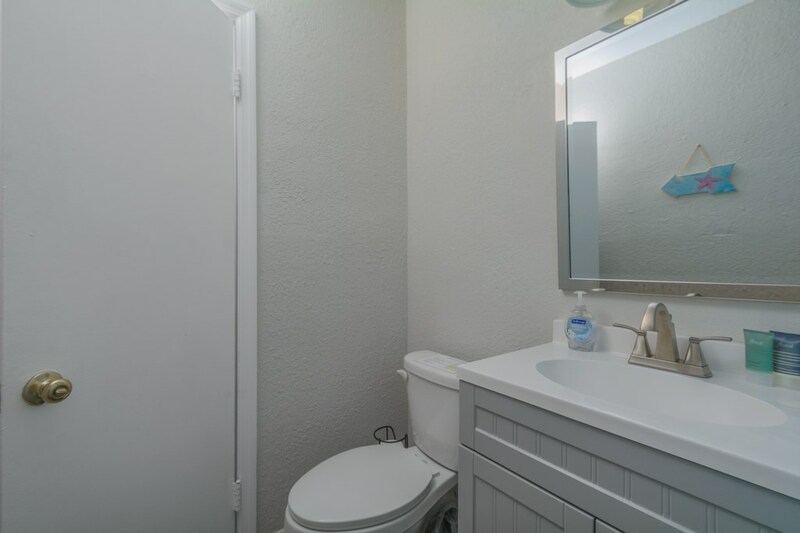 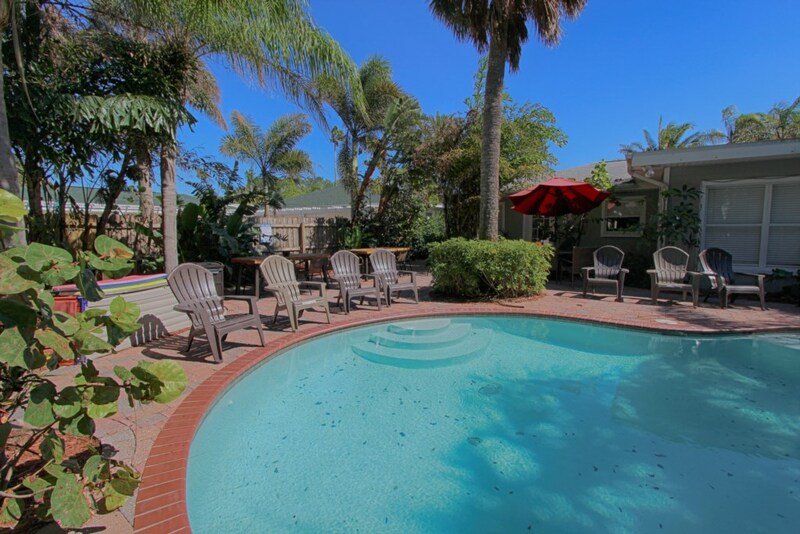 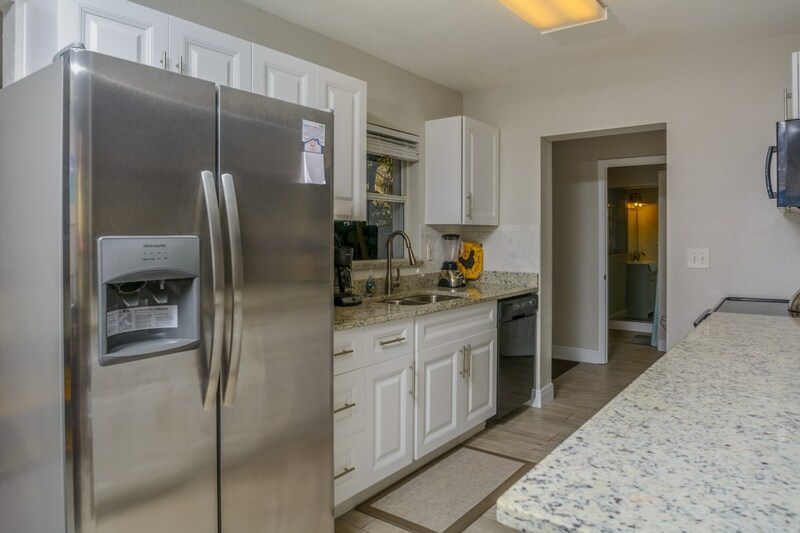 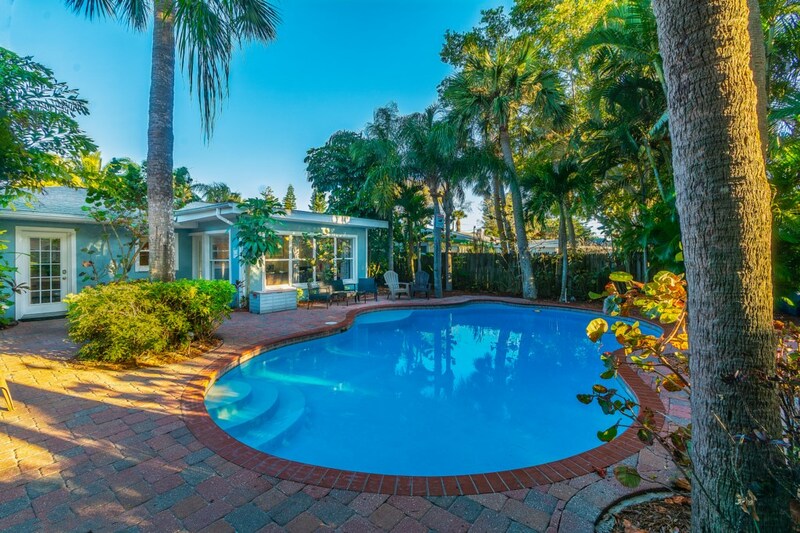 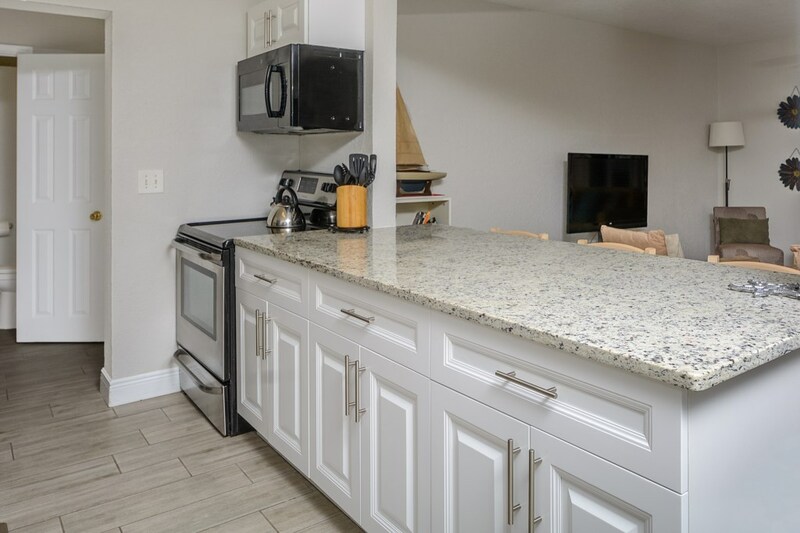 Stunning vacation rental located in North Clearwater Beach – the most sought area of all travelers! 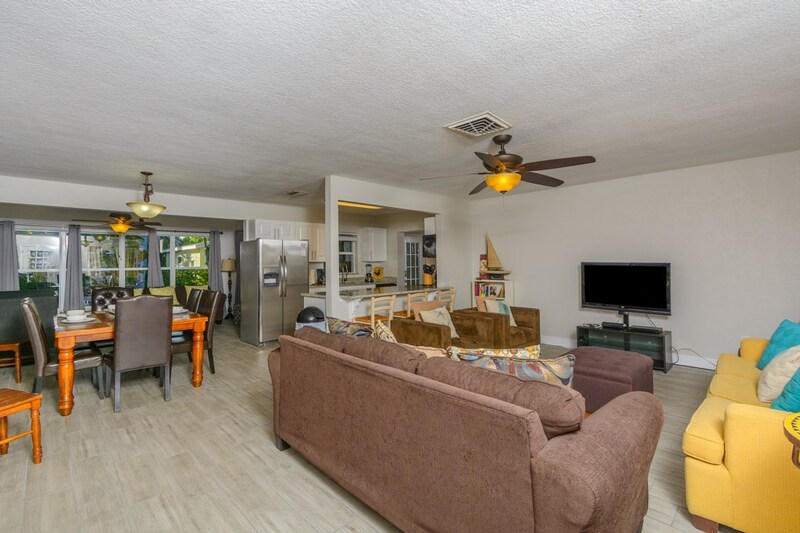 This is one of the 31 grandfathered rental properties that can be rented weekly! 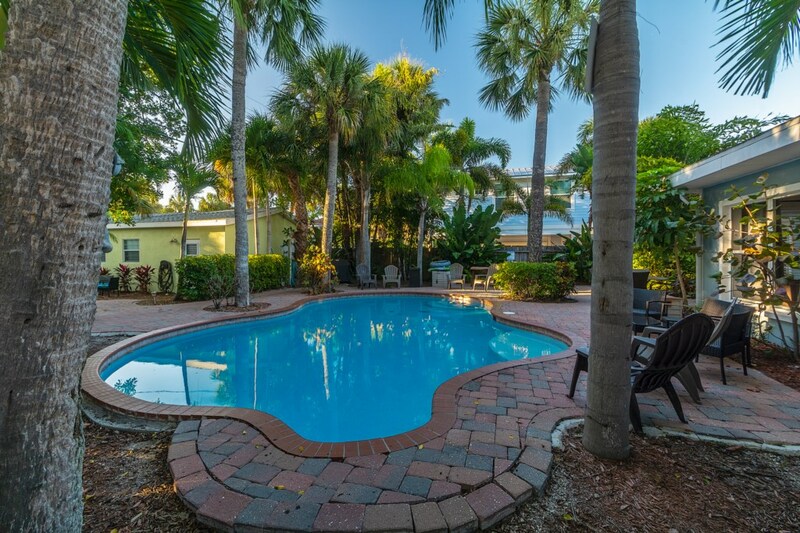 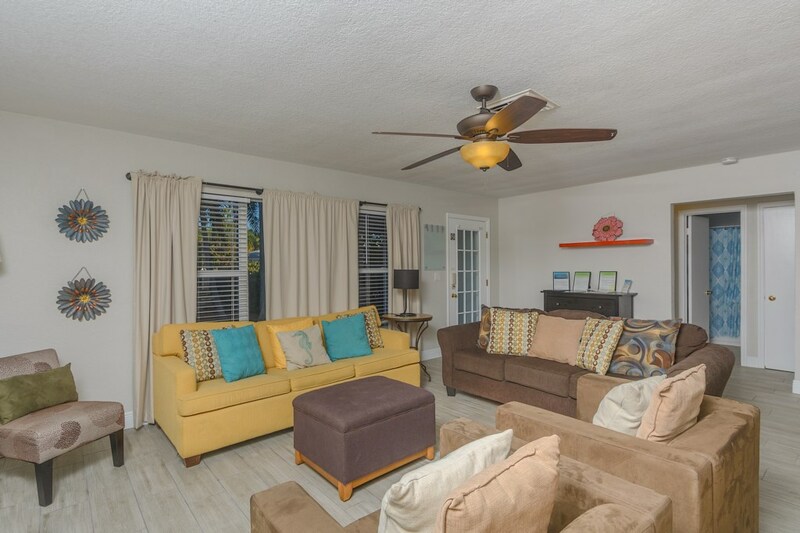 Located just two blocks from the white sand, this spacious vacation house is a perfect escape for you and your family featuring a shared lagoon style pool with a large courtyard. 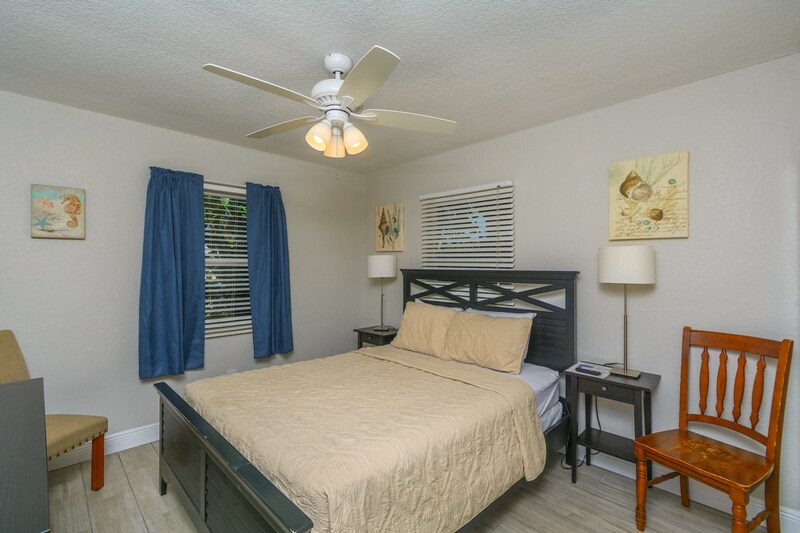 This gorgeous open home features 3 bedrooms and 2 bathrooms to comfortably accommodate 12 guests. 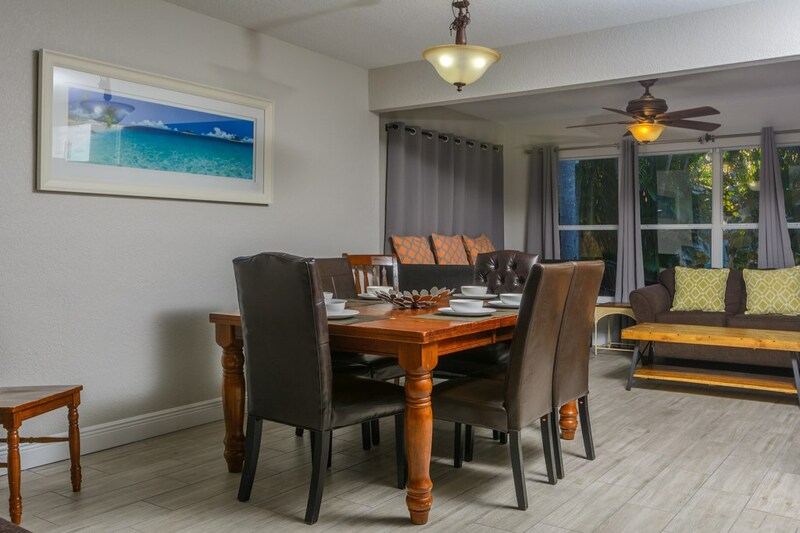 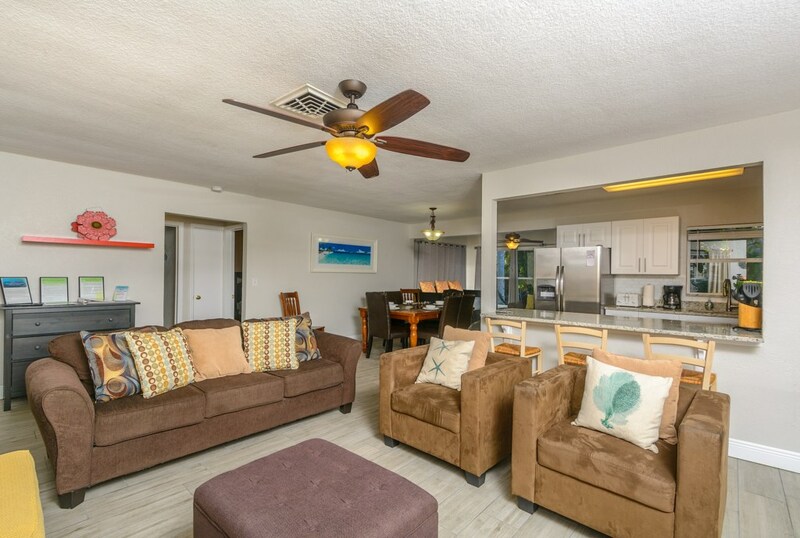 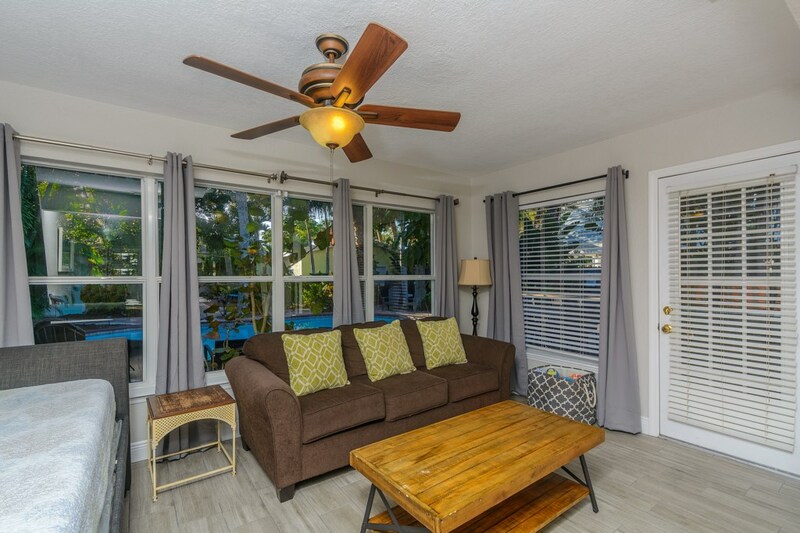 Our beach cabana has a newly remodeled gourmet kitchen, large dining area, living room and a family room which gives a family plenty of space to spread out. 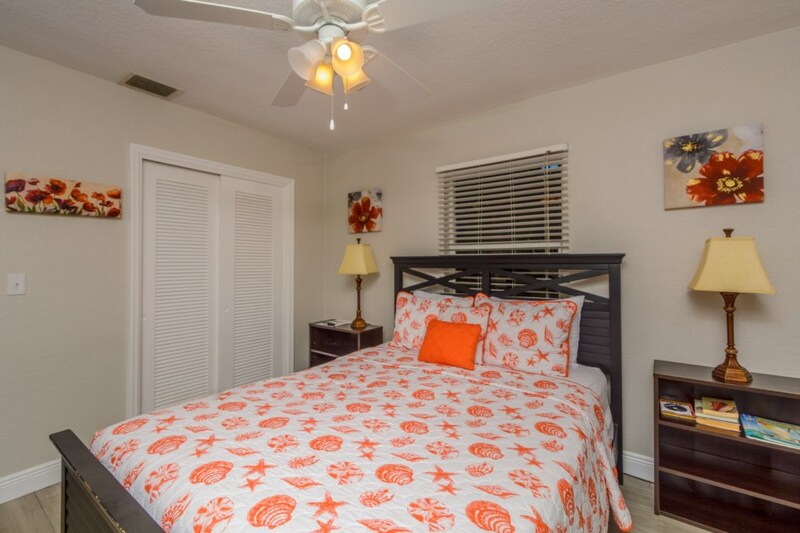 First bedroom has a queen size bed, second bedroom has a queen size bed and third bedroom has two queen size beds. 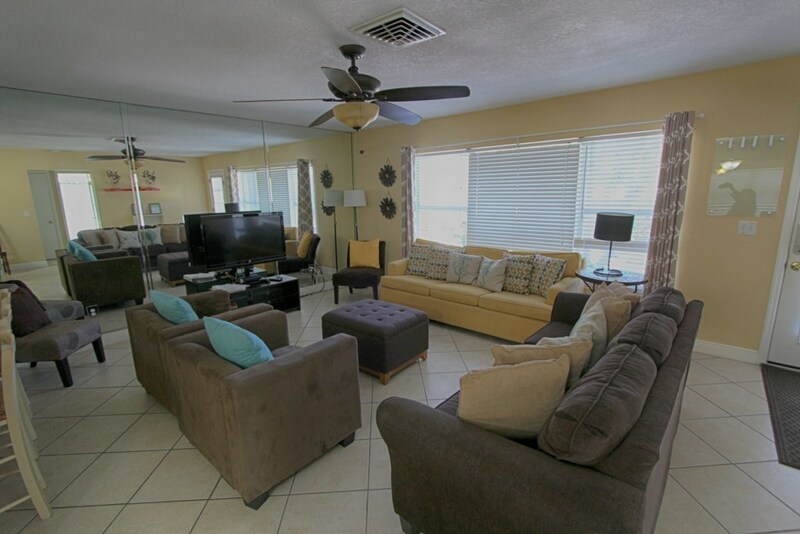 Living and family areas have a total 2 pull out sofas which gives a total of sleeping arrangements for 12 guests. 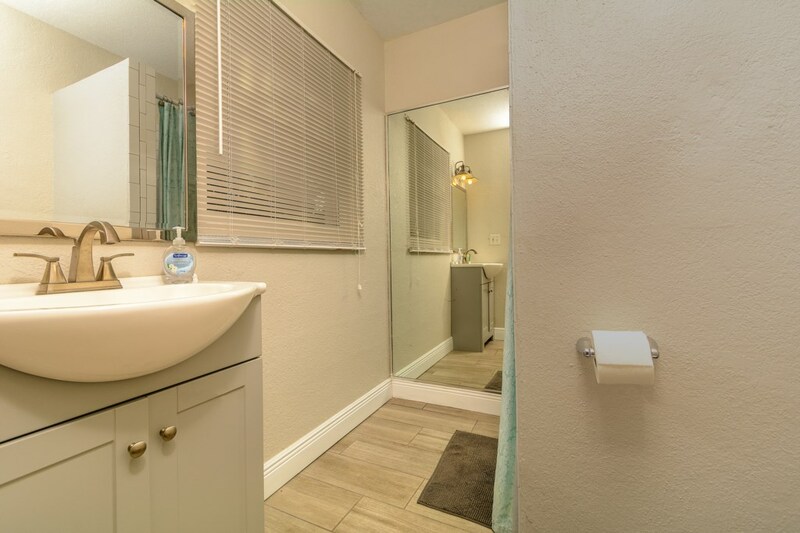 There are two bathrooms, one with a walk in shower and the second one with a shower/tub combination. 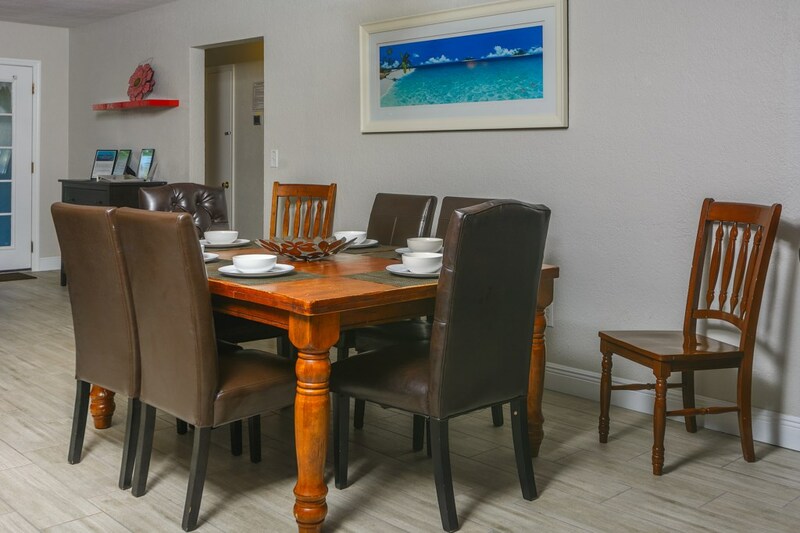 The formal dining room seats 8 people and the kitchen bar seats another 3. 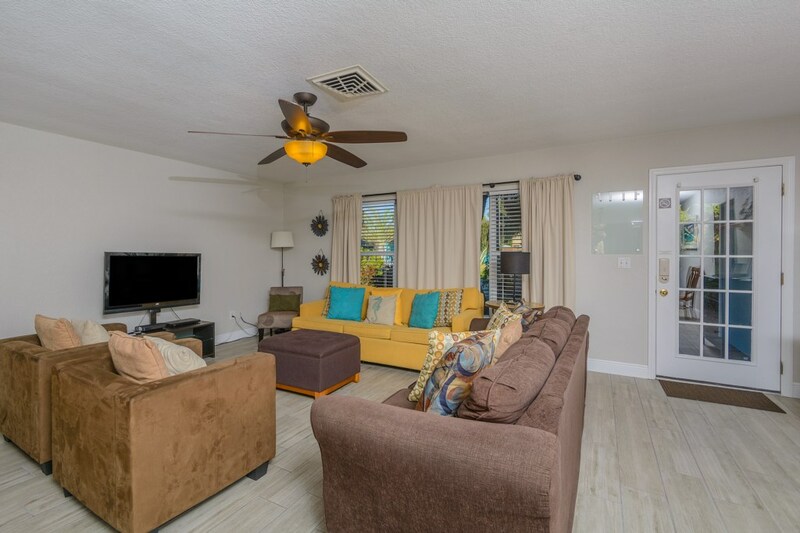 Family room has a door that leads to the beautiful courtyard with a magnificent shared pool, plenty of tables and chairs, bbq grill and much more. 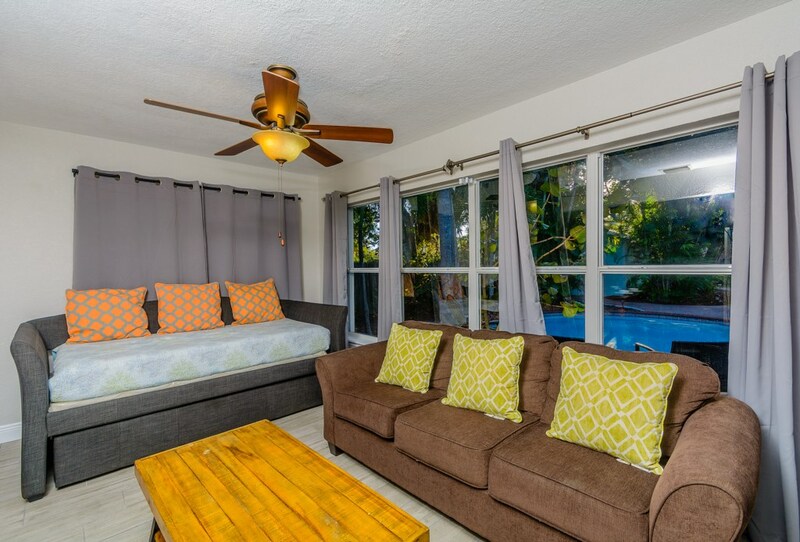 The patio and pool area are embedded in a tropical, secluded back yard that is shared with another 3 bdroom house across from the pool. 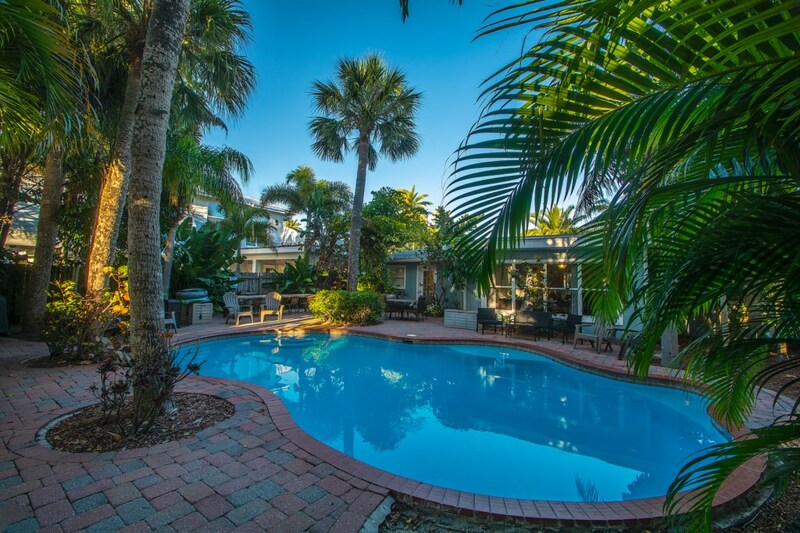 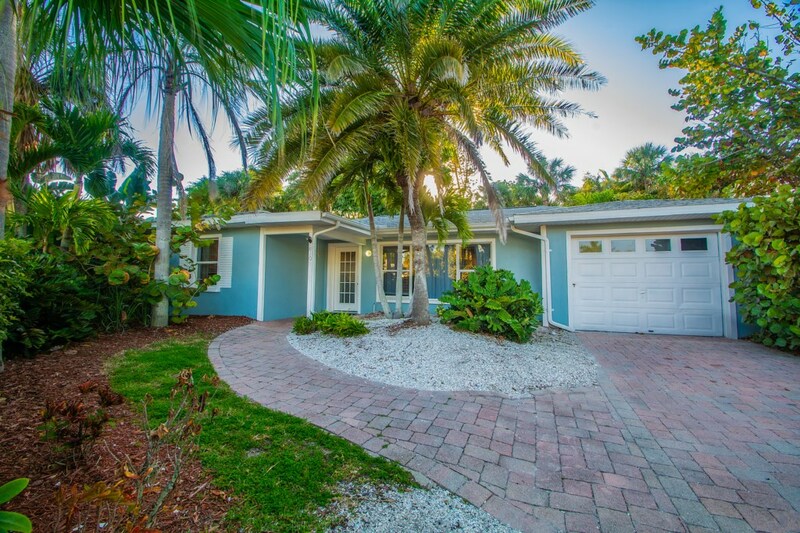 This Clearwater Beach Home is the perfect place for families, couples and snowbirds. 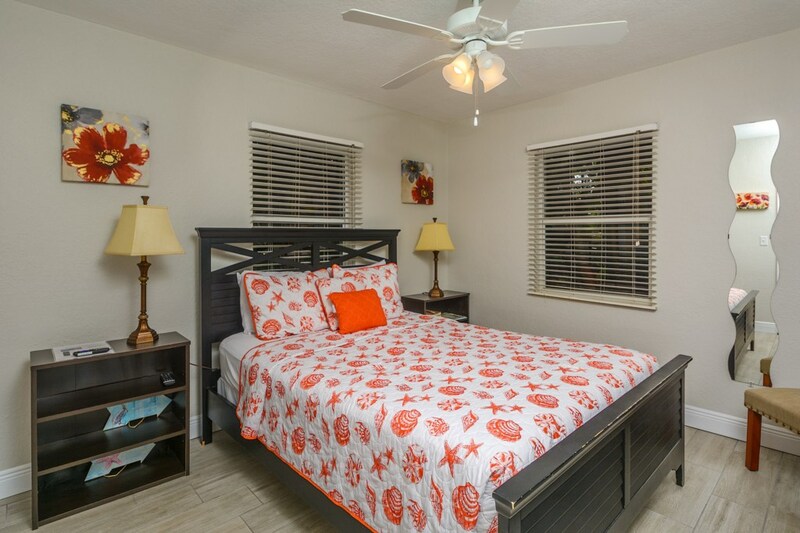 A short walk brings you to Pier 60, where each and every day you can enjoy the exciting sunset celebration. 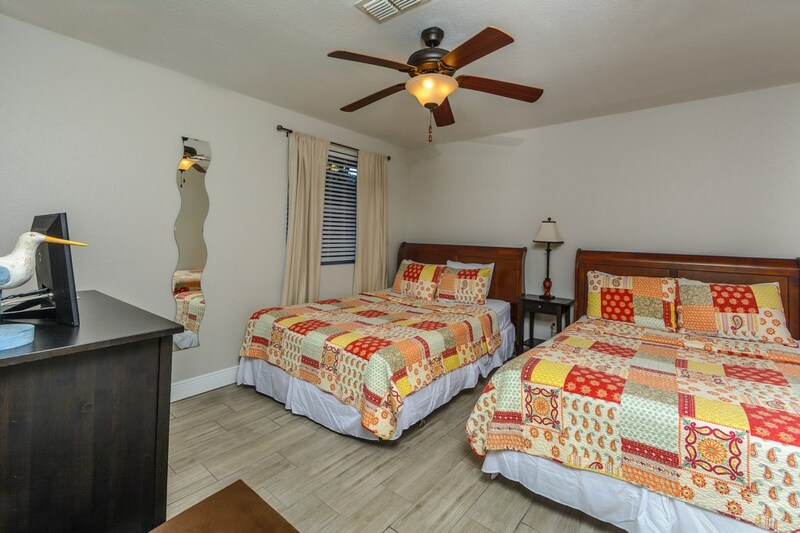 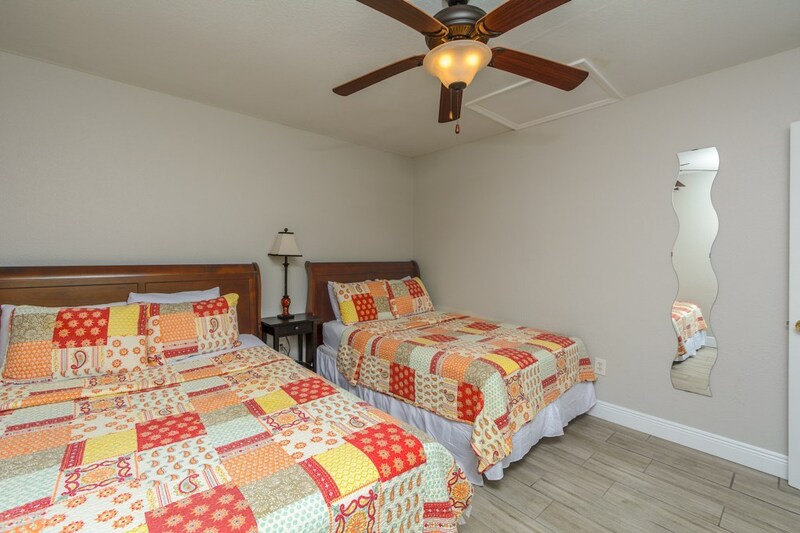 Please keep in mind that Bruce Cabana and Lantana Cabana make up the Clearwater Beach Cabana which can be rented separately or together. 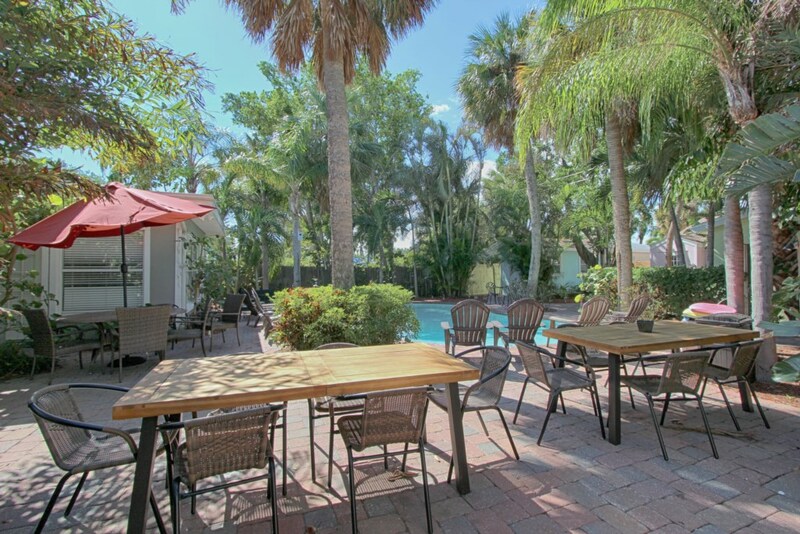 If rented separately the courtyard and pool area is shared.